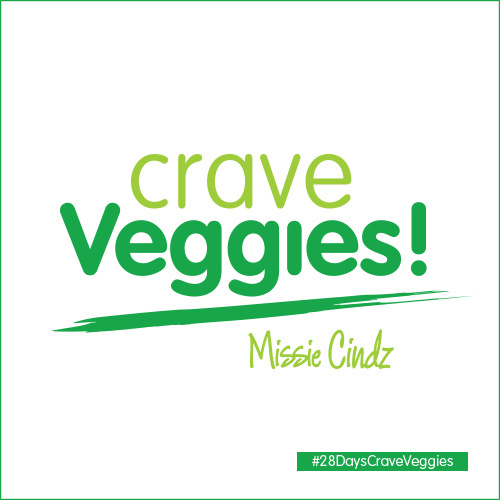 LET’S CRAVE VEGGIES (and give peas a chance)! TOMORROW will see me turning to a Vegetarian diet for 28 days. A personal food test to find out how I feel, how my body (if it) changes and challenges I face. My goal is to improve my ‘food’ habits & well-being but at the same time, to ‘kick the habit’ of eating meat & overeating processed foods! I’m not sure how this Meat Free experience will go but I’m looking forward to the new routine/experiences, and hoping to develop a more sophisticated and mature palette!